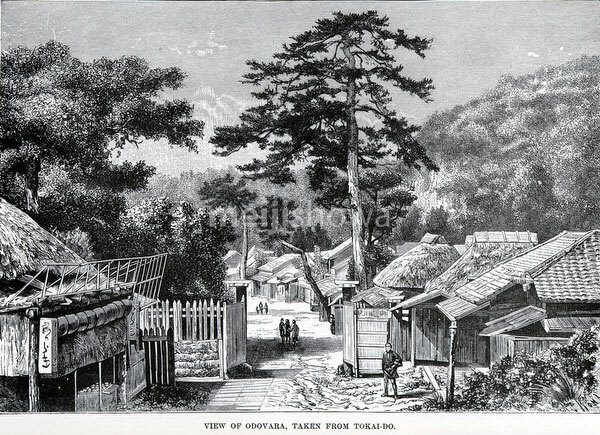 Engraving from the end of the 19th century showing a gate at the village of Kanagawa, shukueki (way station) on the Tokaido highway. The engraving is based on a photo by Felice Beato. This image is based on a photo of Kanagawa by Italian-British photographer Felice Beato. Interestingly, the engraving mistakenly describes the location as Odawara.